Hi there crafty peeps! I want to share with a a K-cup holder I made using my Explore. 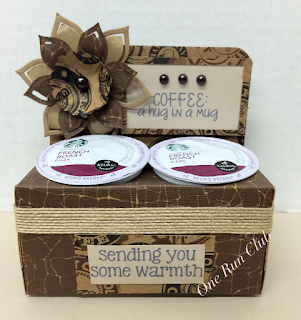 The sentiments used are from the One Run Club's first stamp set Hug in a Mug. Hope you have a crafty weekend! !